All sales are final. Deposits and registration fees are nonrefundable, but are transferable. Gift Certificates: Gift certificates are nonrefundable, but are transferable. Gift certificates expire one year from date of purchase. Gift cerfificates will be processed and shipped within 3 business days of purchase. Car Control & Defensive Driving Course: A no-fault rescheduling fee of $50 will be added to all classes rescheduled without 72 hours notice. Enrollment fee is nonrefundable. Failure to attend your scheduled class will result in a forfeiture of the enrollment fee. 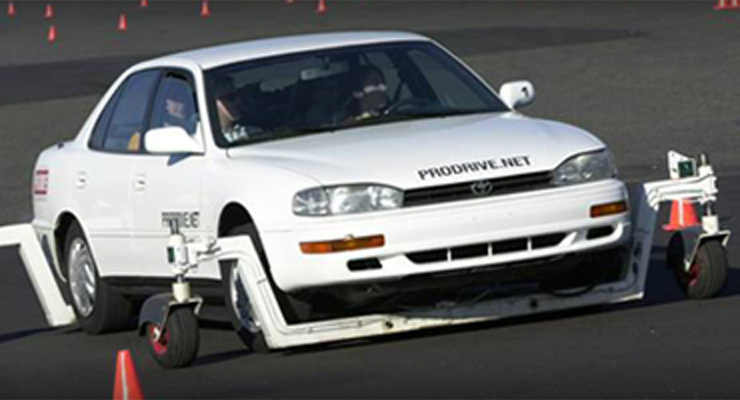 High Performance Driving Course: You may reschedule up to 14 days prior to the event. Rescheduling with less than 14 days and more than 24 hours of the scheduled date will result in a $200 rescheduling fee; rescheduling within 24 hours of the scheduled date will result in a forfeiture of the entire enrollment fee. All enrollment fees are nonrefundable, but are transferable. Pro Drive cannot be held responsible for business conflicts, medical emergencies, canceled flights, etc., and exceptions cannot be made for any reason. Course dates are subject to change. Participant must sign a release of liability prior to any on-track activity. Participants vehicle must be street legal. If it is a convertible it must have roll over protection. Pick up trucks are not allowed. All courses will be run regardless of weather. 1-Day Racing School: Participant must be proficient with a manual transmission. You may reschedule up to 21 days prior to the event. Failure to give 21 days' notice will result in a forfeiture of the enrollment fee ($1000). All enrollment fees are nonrefundable, but are transferable. Pro Drive cannot be held responsible for business conflicts, medical emergencies, canceled flights, etc., and exceptions cannot be made for any reason. Course dates are subject to change. Participant must sign a release of liability and liability clause prior to any on-track activity. All courses will be run regardless of weather. 2-Day Licensing School: You may reschedule up to 21 days prior to the event. Failure to give 21 days’ notice will result in a forfeiture of the enrollment fee. 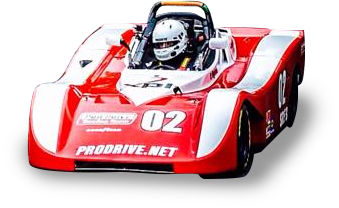 Pro Drive cannot be held responsible for vehicle maintenance problems (own race car participants) business conflicts, medical emergencies, canceled flights, etc., and exceptions cannot be made for any reason. Course dates are subject to change. Participant must sign a release of liability and liability clause prior to any on-track activity. SRF Participant must be proficient with a manual transmission. All courses will be run regardless of weather. 3-Day Racing School and Advanced Lapping Day: You may reschedule up to 21 days prior to the event. Failure to give 21 days notice will result in a forfeiture of the enrollment fee. All enrollment fees are nonrefundable, but are transferable. Pro Drive cannot be held responsible for business conflicts, medical emergencies, canceled flights, etc., and exceptions cannot be made for any reason. Course dates are subject to change. Participant must sign a release of liability and liability clause prior to any on-track activity. 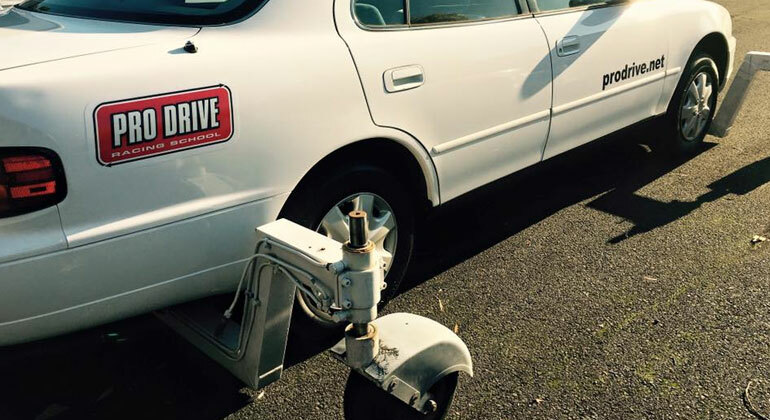 Participant must be proficient with a manual transmission. All courses will be run regardless of weather. Test Days: Reservations are required. Driver must show proof of a valid competition racing license. Payment in full must be received prior to turning a wheel on track. If you do not turn a wheel on track, your test day fee may be applied to another test day within the year. 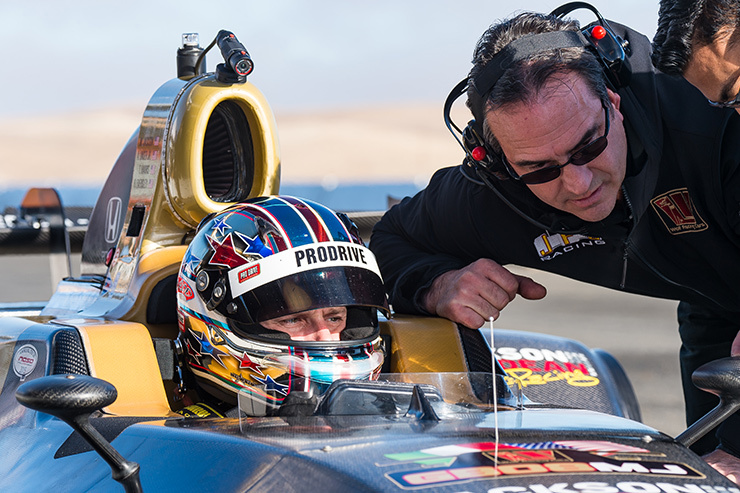 Test day fees are non-refundable, however transferable.If you do not wish to pre-pay, please e-mail prodrive@prodrive.net or call 503.285.4449 to register. All drivers must sign the Portland International Raceway and Pro Drive, Inc. waiver. Test days will be run regardless of weather. No passengers are allowed. Season Test Day Pass Reservations are required per test day. Season Pass is non-transferable, non-refundable. Season pass expires at end of season. Driver must show proof of a valid competition racing license. Driver must sign the Portland International Raceway and Pro Drive, Inc. waiver. Test days will be run regardless of weather. No passengers are allowed. Street Car Track Day: Reservations are required. Driver must show proof of at least one of the following qualifications: Signed off for solo lapping by a car club (i.e. Porsche Club, BMW, Cascade Sports Car Club) or Successful completion of the Pro Drive High Performance Driving Course and signed off for solo lapping by a Pro Drive instructor or Graduate of an accredited racing course at a professional racing school (i.e. 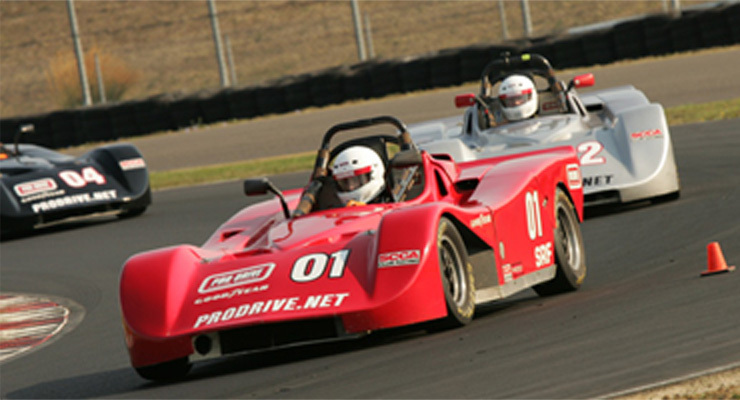 Pro Drive, ProFormance, SkipBarber) or Hold a valid competition racing license (i.e. SCCA, ICSCC, Grand Am, NASA). Payment in full must be received prior to turning a wheel on track. Fees are non-refundable, however transferable.All drivers must complete the Pro Drive Tech Inspection form for their vehicle. All drivers must sign the Portland International Raceway and Pro Drive, Inc. waivers. Track days will be run regardless of weather. No passengers are allowed. Private and Corporate Programs: A 50% deposit or $5000 is required to reserve an event date. Balance is due on or before the event date. Deposit is nonrefundable, but is transferable. Event may be rescheduled with 65 days advanced notice. Failure to give 65 days advanced notice will result in a forfeiture of the deposit. Event must be completed within one year of registration. Participants must sign a release of liability and liability clause prior to any on-track activity. 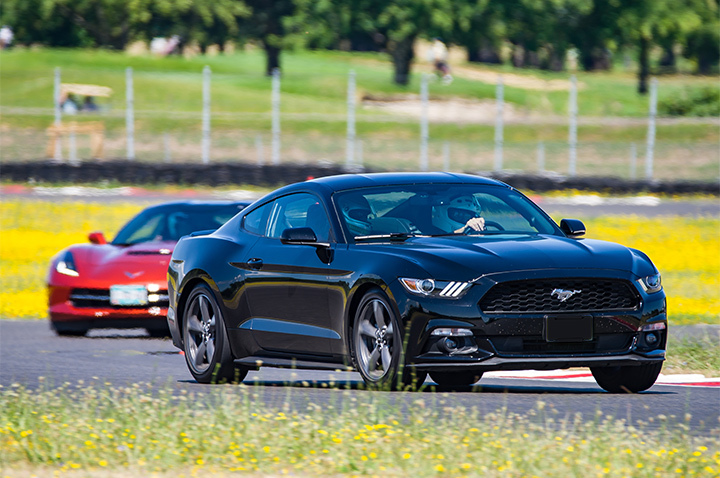 Participants of Spec Racer Ford programs must be proficient with a manual transmission.